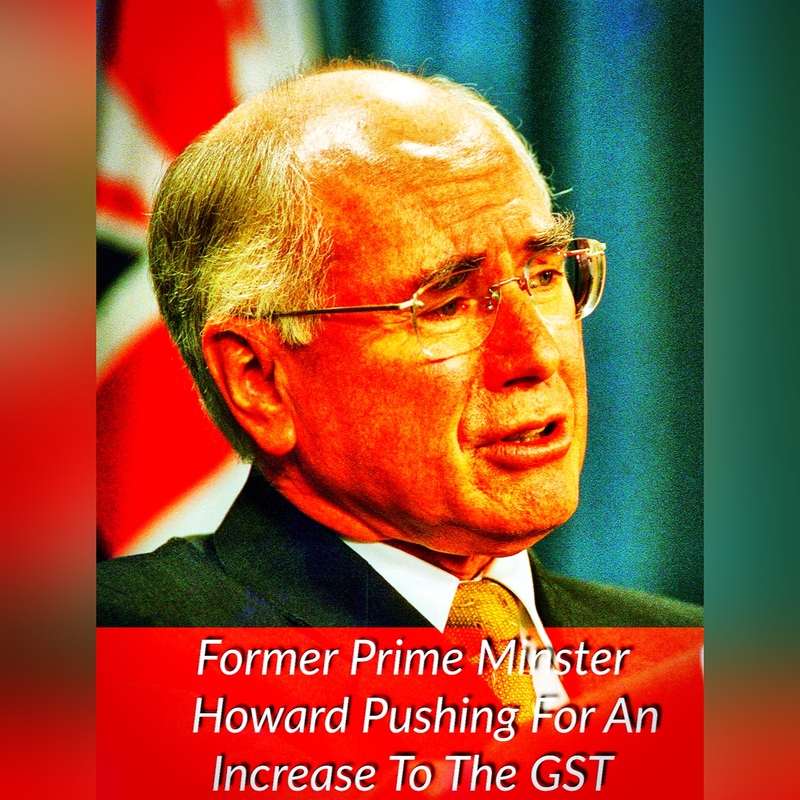 Former conservative Prime Minister John Howard is pushing for an increase to the GST. Mr Howard has said he thinks the government would have an overwhelming case to bring about an increase. The Turnbull government has been considering an increase to the GST until recently when they said that is was off the table due to pressure from the backbench.In the past week, the Turnbull government was earnest about introducing a GST across the board and increasing it to 15%. They had already budgeted for that money in their budget, and they were going to spend it on several items. The Prime Minster backdown on a GST increase lead to the Treasurer being left out on limb with nothing to announce at his recent speech to the National Press Club. Modelling conducted by the Treasury showed that an increase to the GST would not improve growth.